Blockchain technology is thought to be the next big thing in the world of technology after the internet. Touted to be the founding stone for the new technological developments of the future, it is loaded with a plethora of features. Blockchain offers a decentralized and transparent platform that can be integrated into business operations to make them effective and efficient. Today, when gaining an upper hand over the competitors has become essential for all the companies, adopting Blockchain is what most of the companies are eyeing to stay ahead by enrolling them to Blockchain course. 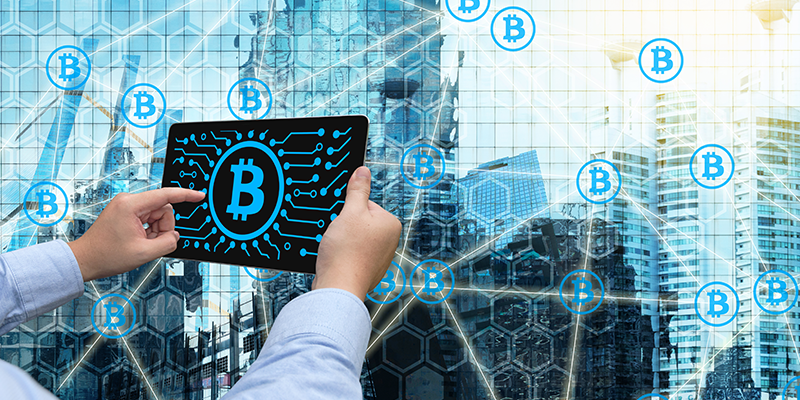 Created in 2009 by an individual or a group named Satoshi Nakamoto, Blockchain technology was made popular by the most popular cryptocurrency – Bitcoin. Today, it is breaking the ceiling of restriction application in the cryptocurrency industry. Although there are certain apprehensions surrounding the technology, Blockchain has surely emerged as a winner. Owing to its various advantages apart from the cryptocurrencies, various organizations are looking out for ways to implement the technology in their business. In fact, some of the big names in the industry, like Amazon, Microsoft, IBM, JP Morgan Chase, and Deloitte, have already started using Blockchain for various business processes. Also, the number of startups focussing on Blockchain technology in recent times has grown by many folds, which in turn has led to more and more people getting interested in learning about the technology. Today there are many certifications that prove a person’s Blockchain knowledge, and there are many online platforms that provide Blockchain certification training..
Why Is implementing Blockchain In Business Processes Gaining Hype? Now, you might think, why are companies getting Blockchain implemented in their business processes? What are the advantages of Blockchain technology for businesses? Well, one of the main reasons why companies are adopting Blockchain technology is to get ahead of their competition and gain an edge in the market. Blockchain makes it easy for companies to provide the customers and clients value for money. How you may ask. Well, Blockchain – the distributed ledger technology, provides a decentralized platform where all the data are time-stamped that are easy to track and trace, which makes it easier for the companies to better their customer and client experience. Not only this, there are many other features of Blockchain that can help a business grow, like peer-to-peer interaction, transparency, data security, immutability, traceability, and various others. Supply chain management is an integral part of any business, small or big. Every company strives for an efficient supply chain since it not only ensures that the product and services reach their destination on time but also, it guarantees the quality of the products and services being delivered. Blockchain implemented in supply chain management makes the process simplified and more transparent. The technology provides a platform where data exchanges are time-stamped and stored in an order in the ledger, which makes it easy for anyone to track and find the information when required. Implementing Blockchain in the supply chain also ensures that all the processes involved and the IoT devices are merged making the process simpler. This is another field where Blockchain can be very beneficial. Generally, once a contract is signed, it takes days, and sometimes even months, to get the deal done and the money transferred. However, with Blockchain technology and smart contracts the whole process becomes easier. Smart contracts are basically pre-programmed contracts that have terms and conditions agreed by the parties involved. Once the conditions mentioned in the terms are fulfilled, the contract is activated and the transaction is done almost instantly. It does not depend on any third party to authorize or validate the contract, which ensures that the process is full-proof. In the recent times, where security is one of the most important concerns, protecting data and personal information of the clients and consumers is a priority for all the companies. This is where Blockchain technology comes in with its plethora of benefits. Touted as the most secure technology that cannot be compromised. Blockchain can be used by companies to store and secure data. The digital ledger technology enables the storage of data cryptographically that makes it very difficult for someone to access the information without authentic permissions. Also, since all the data block are connected in Blockchain, it is easy to track the changes. To sum it up, Blockchain technology is here to stay, and integration of the technology in the business processes will guarantee growth. Although, there may be arguments that Blockchain is still in its nascent stages of development, the benefits that the technology brings with it is a testament that it will drive the future innovation. Will The Apple Car Be Born From The McLaren?